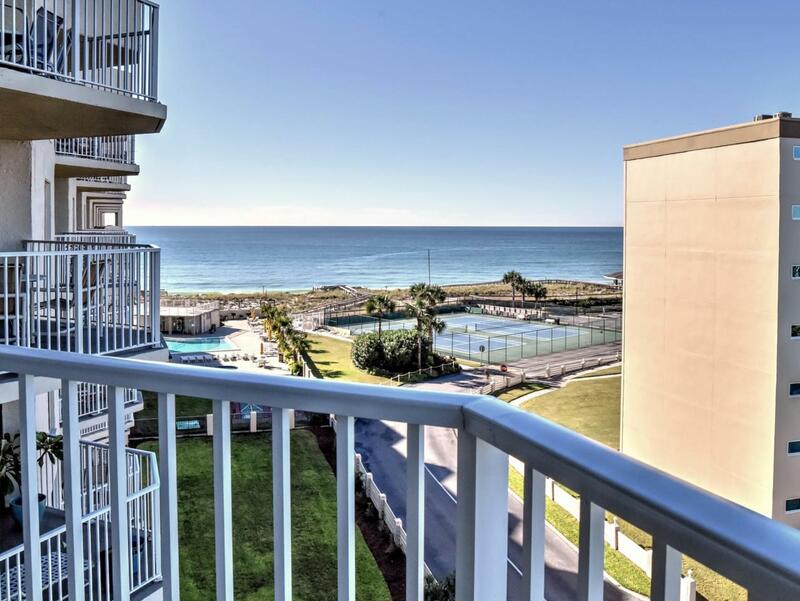 Gulf front complex, 5th floor unit with views of beach and harbor - facing West for sunset and fireworks views. Large 2 bedroom/2 bath that has been a non-rental unit. Stainless kitchen appliances, large kitchen, eat in nook, dining area, large living area with views of the beach - watch the dolphins! 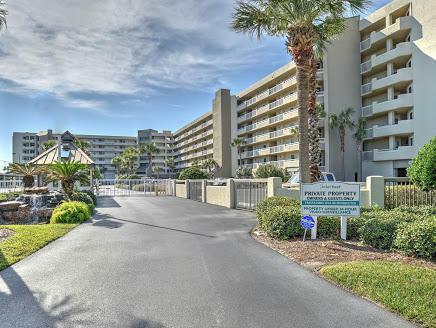 Large master en-suite with separate tub and shower and large walk-in closet - master opens up to tiled sealed balcony with wet bar to enjoy those beach views. Guest bedroom and bath and full size washer/dryer closet. New HVAC inside and out designed for coastal areas. Large pantry and separate inside storage, downstairs separate storage and underground owners only covered parking. Enjoy the amenities of a gated/guard community, fitness room, spa, gulf front pool, tennisNew heavy duty AC unit Carrier installed 2017. It is a "Coastal Unit" designed for beach areas. 2016 all walkways were sealed, new stainless appliance package. Gross rental to exceed $39,000 annually. This has been a non rental unit, it is it great condition!